(aka Yin Yang) Originally from the Caribbean. One of the best for baking and soups. 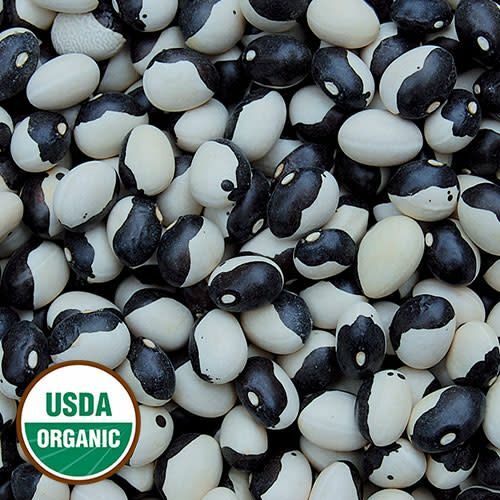 Round black and white seeds with contrasting eye borne heavily on strong 15" plants. Averages 4-5 seeds per pod. Adapts well to all types of production areas. Bush habit, dry, 70-90 days.